Apprenticeships are the oldest and most reliable and trusted form of skills training. 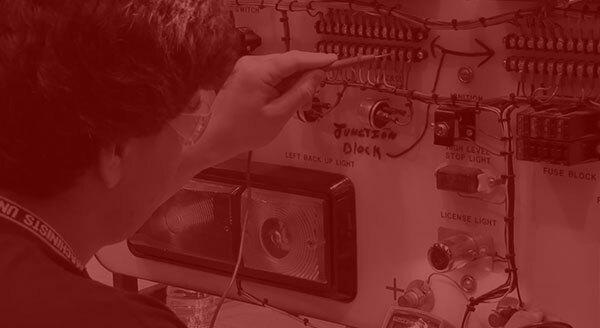 Apprentices become master craftsmen through a time tested combination of classroom training supervised by certified instructors; and real world, on-the-job experience supervised by journeyman mechanics. Who runs the Local 701 apprenticeship program? The apprenticeship program is administered by the Mechanics Local 701 Training Fund and is financed by the members and employers of Automobile Mechanics Union Local 701. The Fund is is a United States Department of Labor supervised labor/management apprenticeship and training program, subject to compliance with benefit requirements of the Employee Retirement Income Security Act of 1974 (ERISA). Do apprenticeships come with a job? Applicants accepted into the Mechanics Local 701 Apprenticeship Training Program are not automatically assigned to an employer. In a process facilitated by the training fund, applicants and Local 701 member employers mutually choose each other based primarily on the location of the employer, experience of the applicant and available open positions. What does an apprentice mechanic earn? The minimum hourly wage of a participant in the mechanic’s apprenticeship program is dictated by the of the collective bargaining agreement. As of January 1, 2019, the beginning wage scale of a first-year apprentice is $15.50 per hour. The hourly wage scale increases at six-month intervals over the course of the sixty (60) month apprenticeship term. On August 1, 2019, the journeyman mechanic wage scale will range from $35.30 to $37.50 per hour. Collective bargaining fringe benefits packages include a 401k plan, a Blue Cross Blue Shield administered health insurance plan and a defined benefit pension plan funded by employer contributions and administered by labor/management ERISA trust fund. What is the apprenticeship mechanic training curriculum? The apprentice training curriculum meets or exceeds the standards established January 2017 by the Automotive Service Excellence Education Foundation (ASEEF), formerly the National Automotive Technicians Education Foundation (NATEF), for Master Automobile Service Technology (MAST) programs. MAST standards are the highest standards and the same level technical standards as automotive technician programs sponsored by local community colleges and public universities. Why does the Local 701 mechanic training cost so much less than all the other schools? In order to attract and develop the best and brightest talent, the members and employers of Local 701 underwrite the cost of the apprentice mechanic training program. In 2018, the union members and employers contributed over $600,000 toward the cost of apprentice training. How long does it take to complete apprentice mechanic training? Apprentices, attending training classes on a regular basis, can complete the required 1,300 hours of classroom and shop instruction and 6,500 hours of On-the-Job training in 60 months. What tools does an apprentice need? Instruction at the Training Program Facility includes all tools, equipment, and personal protection devices required by students for instruction. 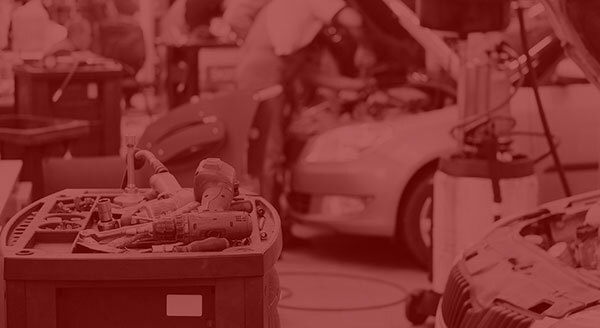 Prospective students should be aware working professional automobile mechanics are required to own and maintain their tools, equipment, and personal protection devices. The typical range of tool and equipment investment by a Local 701 mechanic is $30,000 to $60,000. What does the training cost the apprentice mechanic? Participants in the apprenticeship program contribute to their training in the form of textbook and online subscription fees, uniform fees, ASE testing fees and the cost of consumable items. Fees are approximately $750 the first year and $350 in subsequent years.